Heat the oven to 180C. 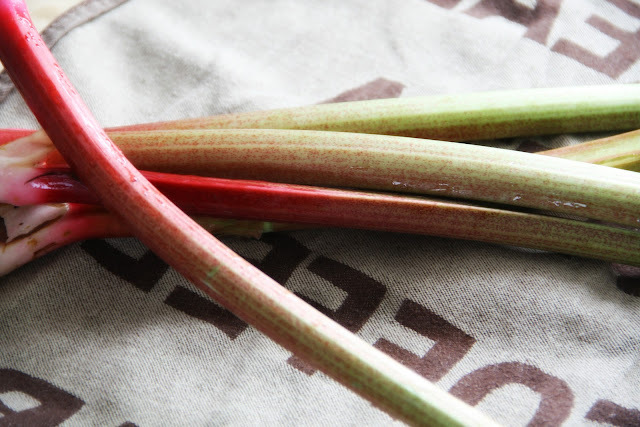 Chop the rhubarb stalks into medium sized cubes and place in a baking dish. Add about 3 tablespoons of water and heat in the oven for about 15 minutes till it is soft. Leave it to cool. 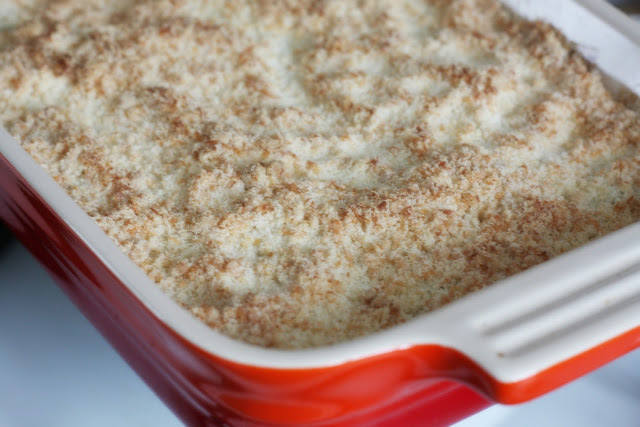 Mix the flour, sugar, dessicated coconut and butter together into a crumbly consistency. 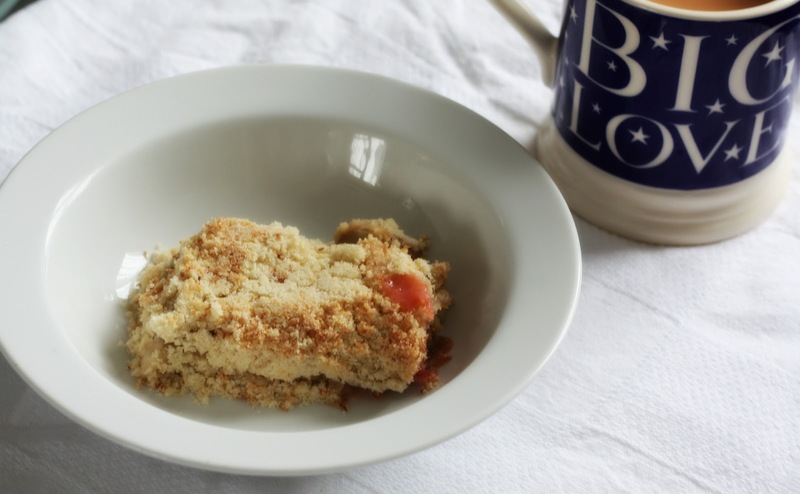 Cover the partially cooked rhubarb with the crumble mixture. Bake for about 20 minutes or until the top is lightly browned. Serve hot with yogurt or ice-cream. The sweetness of the coconut offsets the tartness of the rhubarb and also makes up for the reduced sugar. I'm pleased with how the recipe has turned out and am looking forward to improvising it some more.